Inside Youth Sports: Is Your Child's Youth Coach a Good Teacher? The quality of a child’s experience in organized youth sports is highly dependent on his or her coach. Good coaches both understand their sport and how to communicate this knowledge. Consider your own education for a moment and how these two teaching attributes impacted the instruction you received. Most of us can recall a teacher who was very knowledgeable—but unable to express information in a clear, concise way. We sometimes were left confused, unable to connect the dots to achieve a solution. Likewise, we may have been exposed to the personable, good communicator who we sensed lacked an in-depth knowledge of the subject taught. Knowledge and communicative ability—each by itself is insufficient. 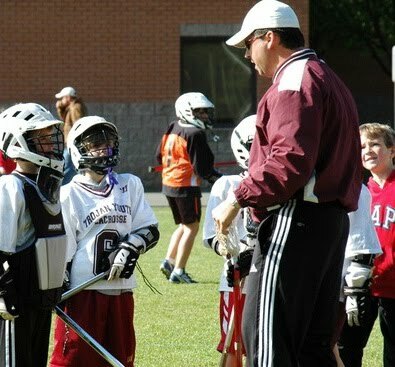 Although coaches may use different instructional techniques and emphasize different aspects of the game, they must be knowledgeable teachers with an ability to communicate. Besides being a good teacher of a sport’s individual and team skills, the exceptional coach also teaches his or her players how to enjoy the game. This enjoyment comes from many sources, not the least of which is an appreciation for the values of the game—those intrinsic qualities that keep drawing a child back to playing a sport. An exceptional coach both creates and recognizes moments to highlight these values. He or she may purposefully set up a competitive situation in practice, enabling players to meet and surpass some challenge—and in the process, to help evoke within them important character traits such as perseverance, selflessness, self-control, integrity, fairness, self-confidence and leadership. Practice drills can be more than simply a lesson on skill development. Fun drills and contests can also spark a child’s mind toward a richer experience in sports—one that is filled with passion, self-expression, creativity, and excellence. Likewise, during a close, exciting contest, a coach may briefly pause and remind his or her players of the moment’s meaning. Or possibly the coach asks a question—like the one Marv Levy, former head coach of the Buffalo Bills famously posed to his football players, “Where would you rather be than right here, right now?” This type of coach invites his or her players to look deeper, beyond winning and external rewards—to also appreciate the intrinsic joy of playing the game. Throughout practices and games in team sports, the exceptional coach also recognizes opportunities to create bonds of responsibility and caring between players as they pursue a shared team goal. Moments of team success and failure can strengthen these ties. Respect for the game (and all of its participants) is another essential lesson that must be conveyed. And through all of the above, the exceptional coach inspires his or her players to be the best they can be. Under this coach's tutelage, each player begins to see a possible path to success. Each player sees how he or she can contribute and be part of the team. Each player wants to learn more, both in organized activities and on his or her own. As a parent, your goal is to try to find coaches who demonstrate the traits described above. Word-of-mouth recommendations from other parents, direct observation, and feedback from the kids themselves can help you determine the coaches who are the best fit for your child. “Tough” coaches may be appropriate for your more competitive and confident child while coaches who employ a softer, more supportive style may help your younger beginner find his or her way. But whatever the style, the coach must first be a good teacher—one who can communicate his or her expertise and the values of the game. "the exceptional coach also teaches his or her players how to enjoy the game. " Agreed. A great coach gets kids excited about coming to practice every day. They focus on having fun and learning, not just winning.